Celebrity deaths had made news this year but the consecutive deaths of Hollywood legends Carrie Fisher and Debbie Reynolds genuinely shocked fans and the industry. Much has been said and speculated on the bond they shared; with both individuals being extremely forthright about the highs and lows they went through apart and together. Their relationship, for all its turbulence, exemplified the uniqueness of the mother-daughter bond. What are the consecutive tragedies that struck Hollywood? First Carrie Fisher, an American actress, writer, humorist and producer most known for her essaying the role of Princess Leia in the Star Wars series passed away. She had a heart attack on December 23 while on a flight and passed away on December 27. 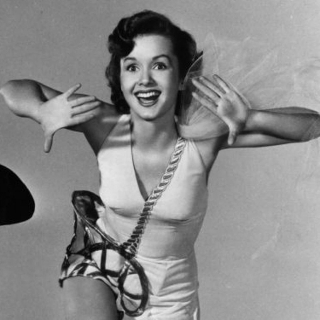 Her mother Debbie Reynolds, actress, singer, businesswoman, film historian and humanitarian who shot to fame when she played Kathy Selden in Singin’ in the Rain passed away a day later. 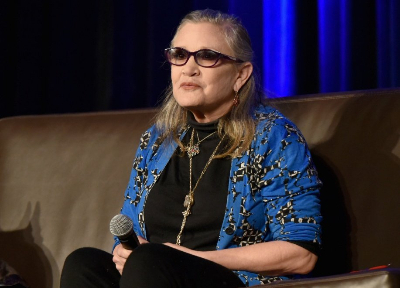 She suffered a “severe stroke”, according to her son Todd Fisher, and was admitted to the hospital on Wednesday morning. That afternoon she breathed her last. 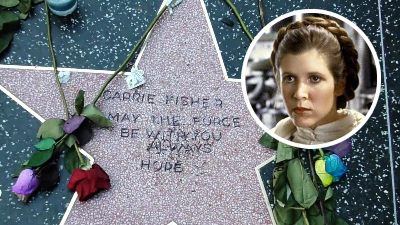 Todd Fisher said that shortly before she died she had said “I want to be with Carrie”. For film buffs Reynolds was a celebrity star, but people within the industry knew her for the philanthropic causes she took up. She worked with The Thalians, an organization dedicated to mental health causes for more than six decades. She was also passionate about preserving Hollywood heritage. In January 2015, she received the Screen Actors Guild Life Achievement Award. In 2016, she was the recipient of the Academy Awards Jean Hersholt Humanitarian Award. Why was Fisher chiefly known as the daughter of “Hollywood Royalty”? She came into the world as a celebrity child and had to live with the image throughout. Debbie Reynolds was not just a movie star; she defined the essence of a movie star. She was very frank about her humble upbringing and completely unconventional at the time she started. One of her friends said, “I say this in all sincerity. Debbie can serve as an inspiration to all young American womanhood. She came up the hard way, and she has a realistic sense of values based on faith, love, work and money. Life has been kind to her because she has been kind to life. She's a young woman with a conscience, which is something rare in Hollywood actresses. She also has a refreshing sense of honesty.” She indeed became an icon; a living legend who earned sky-high fame. Eddie Fisher was a singing sensation whose records sold in millions and made him one of the most celebrated pop singles artists in the early half of the 1950s. His voice earned him teen idol status. When Fisher married Reynolds, he went from being singing sensation to America’s sweetheart. 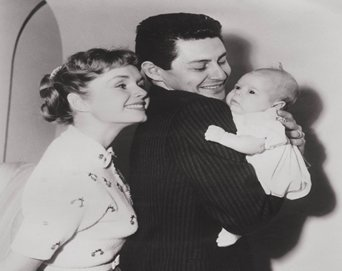 The celebrity marriage had all the ingredients of being a picture-perfect one – two healthy kids, wife and husband who made the most adorable pair. When did Debbie enter Hollywood? She entered the Miss Burbank contest and won it for her rendering of “My Rockin’ Horse Ran Away” in Betty Hutton style.Solly Baiano, talent scout for Warner Bros spotted her and a $65-a-week contract plus a name change to Debbie – against her wishes – followed. The experience mostly involved addressing envelopes and showing visitors around; and her roles in front of the camera were minor ones. She moved on to MGM and it was here that she landed with the legendary lead role in “Singin’ in the Rain”. Gene Kelly, the choreographer and male lead made her adhere to a stringent dance training regimen, which she acknowledged was necessary. The next defining moment in her career was her role as Tammy in the romantic comedy “Tammy and the Bachelor”. The role also possibly stereotyped her into playing similar characters in the films that followed. Replacing Shirley MacLaine’s role as Molly in the 1964 movie “The Unsinkable Molly Brown,” she won the masses with her portrayal of a woman who went from rags to riches and became a survivor of the Titanic sinking.A signature song “I Ain’t Down Yet” from the musical comedy was something she replayed and relived through the black phases of her life. Where did Carrie struggle with coming to terms with her pedigree? 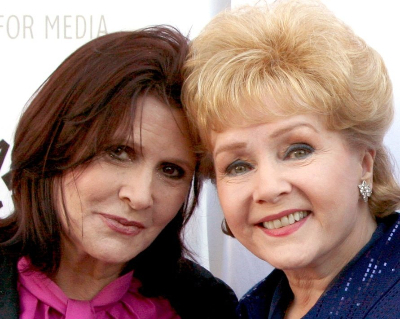 Both Fisher and Reynolds had spoken about how Carrie hated to share her mother with others. But Carrie did not have a choice in this matter as Reynolds had made a name for herself in the movie industry followed by fame through the small screen. For Carrie, this meant sharing the weight of her mother’s fame which in itself was a challenge. Being part of the celebrity lifestyle meant drugs and marijuana formed a significant part of Carrie’s life in her teens. At 28, she needed rehab and even though she made it through, was diagnosed with bipolar disorder and had a very hard time dealing with it. It was at this point that she greatly distanced herself from her mother. Who did Debbie feel Carrie was and vice-versa? 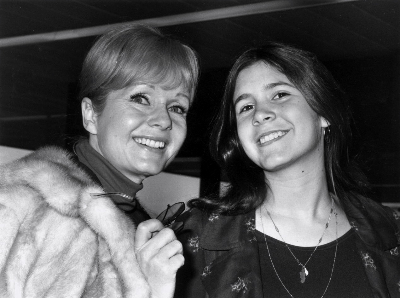 Debbie and Carrie were very open about their relationship; they celebrated the highs and sought to work around the lows. When they appeared on stage together, they had to hold their own as individuals. Despite this they learnt from each other. Carrie said to her mother in the Oprah Winfrey show – “I make choices; I do what I want to do. I am a strong person, I’m not afraid of almost anything, and that’s a lot because of your example.” In an earlier interview she had said, “The funniest thing is my mother goes on the road and works; she gets up, puts her face on and her hair on and is so alive, at a time of her life when lot of people are getting ready not to be, My mother is better than ever.” She added, “I believe my mother knows now but if she doesn’t, it would be good if she did that I take her advice, follow her example, that I respect who she is and if I’m like her in any way it makes me very happy to be so”. How special is a mother-daughter bond? The relationship’s highlight is its resilience. 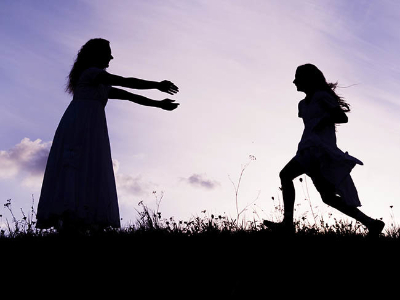 From the unabashed love displayed and constantly demanded in childhood through the turbulent teens where the relationship shows its worst side to the mature stage where daughters realize and appreciate the struggles their mothers undertook for them, the strength of the relationship stands out. Researcher Karen Fingerman, Ph.D. found that conflicts and complexities did not stop 80 to 90 percent of the middle-aged women she spoke to report having good relationships with their mothers – though they wish it was better. Fingerman says women are more successful at holding relationships that involve a great extent of intimacy and the mother-daughter bond is a testimony to that. "There is great value in the mother-daughter tie because the two parties care for one another and share a strong investment in the family as a whole”, she said. Mothers are more patient to their daughters flaws than the other way round, reveals Fingerman’s research. Findings in her research include 88 percent of adults report that their mother has been a positive influence, 92 percent say they feel the current relationship with their mothers is positive, 88 percent of mothers say their family is adequately appreciative, 53 percent of adults say their mothers influence exceeded their fathers and while only 45 percent of men find their mother more influential than their father, 60 percent of women assert this. At no point of time, this relationship can be easily described; but one can vouch for its strength and love that makes it special.